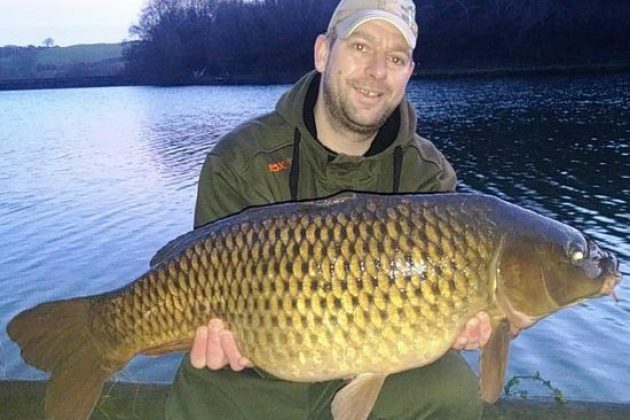 Ollie Passmore fished South West Lakes Trust Slade Reservoir to land a 12lb common carp. At the same venue, Kevin Hicks landed a fine common of 25lb 4oz and Ian Ross a 23lb mirror. Chris Morris won Clawford Vineyard's latest Open Match with a net weighing in at 68lb 2oz. The Angling Trust has been working with the Environment Agency to review the rod-licence structure. It is likely a new three-rod licence will be introduced in 2017. That will please specimen anglers, who currently have to purchase two full-priced licences if they wish to use a third rod. It is also probable junior anglers will be able to fish for free and the licence will be valid for 12 months from the time of purchase. Sea anglers have often found the transition from winter to spring a quiet time, but in recent years the doldrums have not been as pronounced. After a mild winter, ray, bull huss and conger continue to provide sport and there is every chance of a spurdog from deepwater marks. Boat anglers have caught several cod of more than 20lb off Minehead and there is a good chance of a big cod off Ilfracombe if the weather permits. A few dabs have been tempted from Ilfracombe Pier and Clovelly in recent weeks. These tasty flatfish can be tempted using worm baits presented on small, fine wire hooks. February is considered the best month to tempt dabs, which frequent many sandy areas along our coastline. Large baits employed by anglers seeking cod prevent the fish from being caught but they are probably more abundant than catches suggest. Optimism was high among Combe Martin Sea Angling Club members setting out on board Steve Webber's boat Osprey after reports of big cod from the area – but fishing proved slow. Seven cod were landed, the best to James Gubb-Fradgley at 9lb 6oz.